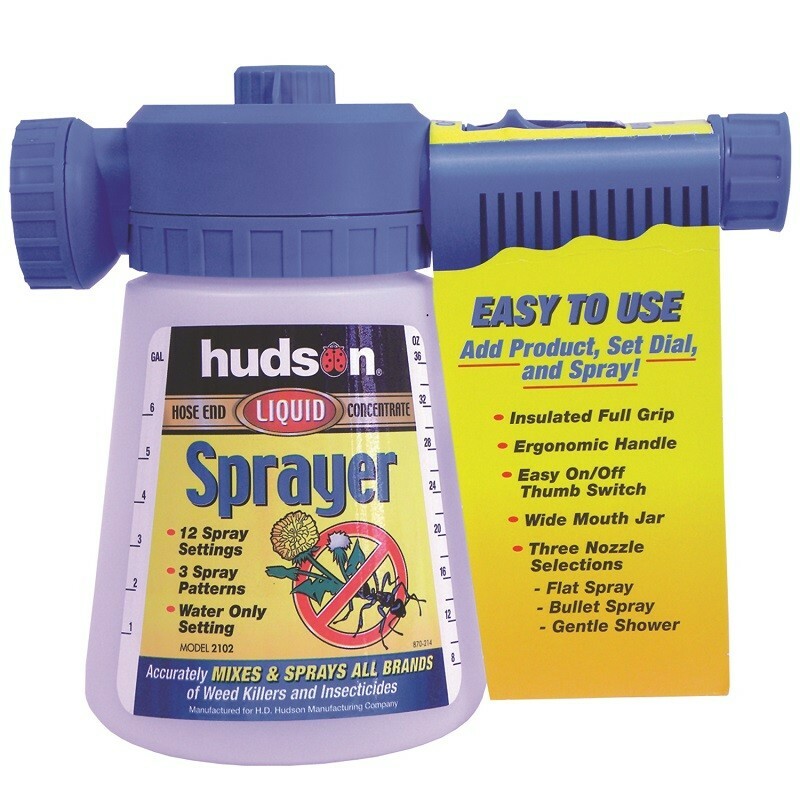 SPRAYER DESCRIPTION: This piece of equipment enables you to treat garden and yard areas easily. The chemical concentrate is put into the sprayer and then the dial on top is adjusted to the right setting which is adjustable with a range of 1 teaspoon per gallon of water up to 4 oz per gallon of water. Remember, there are 3 teaspoons to every tablespoon and 6 teaspoons to every ounce. The mixture is accurate and precise. You are able to restore unused chemical concentrate for future use since no water goes into the sprayer tank or you can store the concentrate in the tank so the sprayer is ready for use in the near future (don't let concentrates sit unlabeled). This sprayer enables you to pump big amounts of water for turf applications and since its working off of the water from a garden hose you can usually reach high places if needed. I love this sprayer. I am sad that it is a discontinued model. Product arrived in a timely manner. I have had one of these years ago and apparently lost it to a friend or relative. They are the best sprayer on the market. Ortho sprayers do not come close to the efficiency of the Gilmore Dial a Mix.